This heirloom tool is ideal for tackling tough soil in confined spaces. Aggressive, sharp, and strong, this 5-tine cultivator is great for aerating hard soil, removing unwanted debris, and weeding in any garden setting. Constructed of tempered boron steel. The strong but lightweight European Ash hardwood handle comes from FSC (Forest Stewardship Council) certified forests. Head: 3.5"L x 3.5"W. Total: 11"L. 0.5 lb. 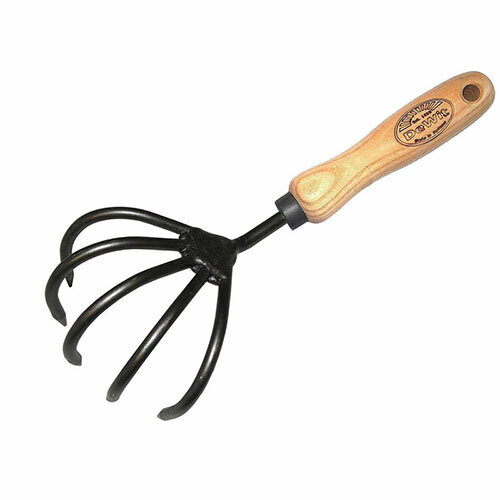 DeWit tools are treasured by gardeners for their ease of use and quality. Willem DeWit started the company as a blacksmith company in Holland in 1898. 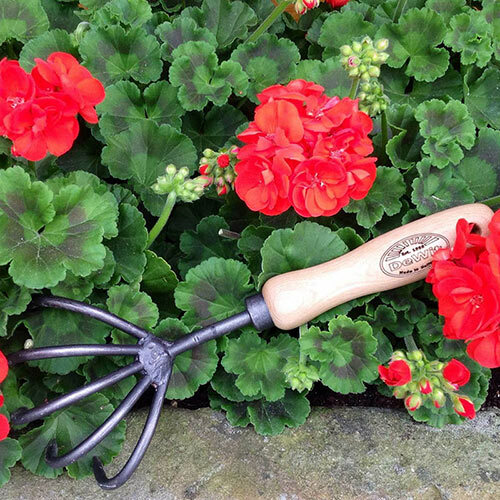 Today, the fourth generation of the family operates the company producing gardening tools with old-fashioned quality and innovative designs. DeWit tools are made from high quality Swedish Boron Steel. The European ash hardwood handles are strong, but lightweight, and have elasticity so the tools can bend without breaking.